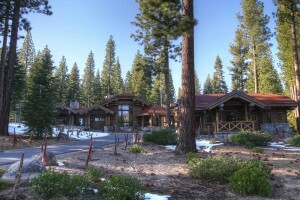 Modern day luxury reminiscent of a simpler time in Tahoe history, designed for multi-generational families. Reclaimed timbers are carefully handcrafted into camp-style homes tucked on a private 1.87 acre homesite, chosen for it’s cul-de-sac location, proximity to forest trails, and adjacent path to all things Martis Camp! Offered furnished, this is the only true dovetail log construction currently offered in Martis Camp…a legacy property that makes it easy to say yes to all things that matter most-family.